Morrisons slashes fuel prices again | What Car? Supermarkets are continuing to drive down the cost of fuel, with Morrisons announcing it has cut a further 3p off a litre of petrol and diesel. It is the fourth time that Morrisons, which has 285 forecourts across the country, has cut prices in the past two months. The average price of petrol at Morrisons pumps is now 107.7p a litre, while diesel is 119.2p a litre. The national average is 112.0p a litre for unleaded and 124.2p for diesel. 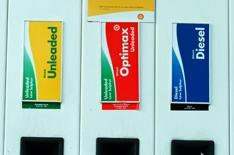 The price cuts come days after fuel retailers were accused of not passing on reductions in crude oil to motorists, and are expected to be followed by cuts from other retailers in areas where competition is high. However, the AA warned that drivers in remote areas could still see high pump prices because of a lack of competition.